What Does 1 John 5:11 Mean? The testimony of the triune Godhead is faithful and true and His Word stands fast for ever and ever, and God's unshakable and irrefutable declaration to the fallen race of man.. is that God has given us eternal life and this life is in His Son - for He is the Way and the Truth and the Life, and He alone has the authority to give eternal life to all who come to Him for salvation. God gave the first witness of His Son's authenticity at His baptism, when He spoke these beautiful words from heaven: “This is My beloved Son in Whom I am well pleased,' .. when the Holy Spirit descended upon the Lord Jesus Christ and remained upon Him throughout His earthly ministry. And as the cross drew ever closer, God gave a second witness to the truth of His Word, when His audible voice thundered from heaven once again. 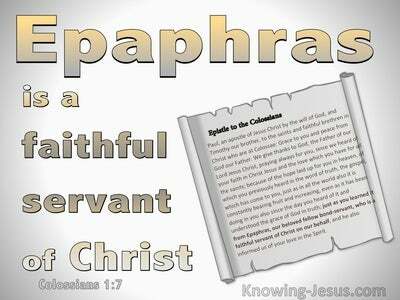 It happened when Christ announced (in Bethsada) that the hour had come for the Son of Man to be glorified. Christ had come to earth for the singular purpose of going to the cross as Saviour of mankind, and the Father's voice was heard to say: 'I have both glorified My name and will glorify it again.' The crowd that was standing by heard it.. and wondered. Christ had finished the work He had been given to do by the Father and so He prepared to be wounded for our transgressions, bruised for our iniquities, condemned to death and crucified on a cruel Roman cross. And Christ shed His precious blood as a ransom for many - so that all who believe in Him would not perish, but have everlasting life. 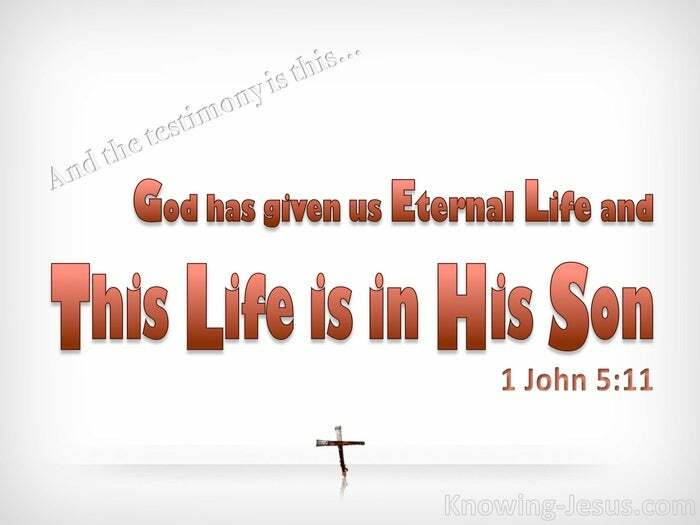 The indwelling life and power of the Holy Sprit of truth in the heart of a believer is a third yet equally important testimony that God has given us eternal life.. and that this life is in His Son. 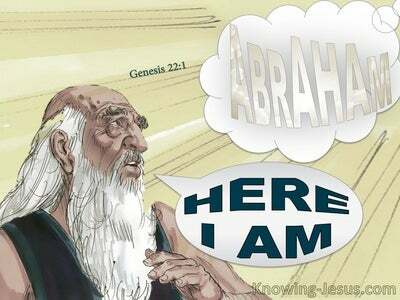 We received the permanent presence of God's Holy Spirit within our hearts when we were adopted as God's own children - so that we are enabled to call Him, 'Abba, Father'. 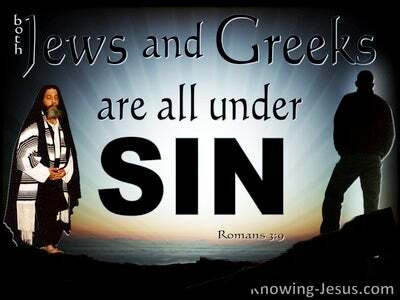 And He witnesses within our inner being that we are children of God and that we have received eternal life.. by grace through faith in Christ Jesus our Saviour. Eternal life is a gift from God to all who believe on Christ, not a reward for our work or a recompense for our merit. And that of eternal life is IN Christ - for He is our life. 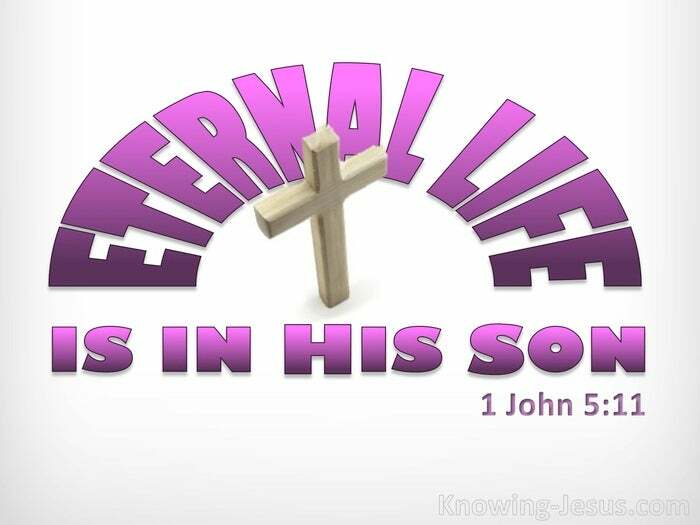 Eternal life is not just from Him but is IN Him - and He who has the Son has life, but whoever does not have the Son of God does not have life - and the testimony is this, that God has given us eternal life, and this life is in His Son. 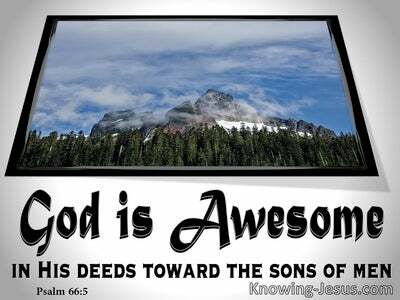 Heavenly Father, thank You for the glorious gospel of grace and the truth that it contains. Thank You that I have life in Him, by grace through trusting in His shed blood at Calvary. How I praise Your name that I have received eternal life and that nothing can ever separate me.. (from this day forward) from the love of God, which is in Christ Jesus my Lord and my Life - in Whose name I pray, AMEN.